Originally established in 1968 as the Livingston County Historical Society, members soon realized that it would be a daunting task to maintain the history for the entire county. It was later decided to narrow the focus to preservation of the history of the Howell area. generation about the local history and heritage. "Railroad and Depot" section of our website. When, in 1951, passenger service ceased and most of the accessory buildings subsequently removed, the depot was in limited use. Over time, the depot was left vacant and dedicated members of the Historical Society showed their determination to save the depot by raising the necessary $2,500 on a single Saturday by hosting a "gala day" and a big farm auction. 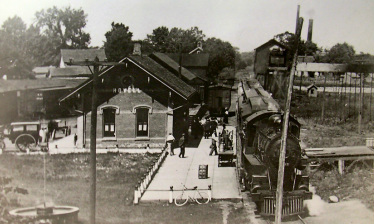 Purchased by the Historical Society on January 30, 1970 from the Ann Arbor Railroad, renovation of the space began and the Depot Museum became a reality. everything from paper collars to moustache cups and high button shoes. The station master's office has been left almost untouched. Railroad buffs will be particularly interested in its old telegraph key, hand-operated signal levers and collection of lanterns. Historical artifacts include items from both WWI and WWII and much more. The Philip Livingston Chapter of Daughters of the American Revolution museum collection originally housed in the Howell Carnegie Library became the base on which the museum grew. 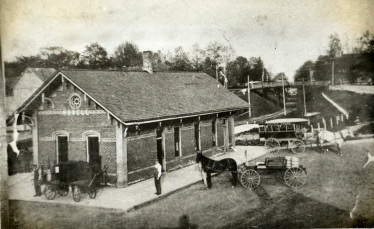 The Depot was listed on both the State Register of Historical sites and the National Register of Historic Places in 1970 and 1971, the first structure in Howell to be so recognized. 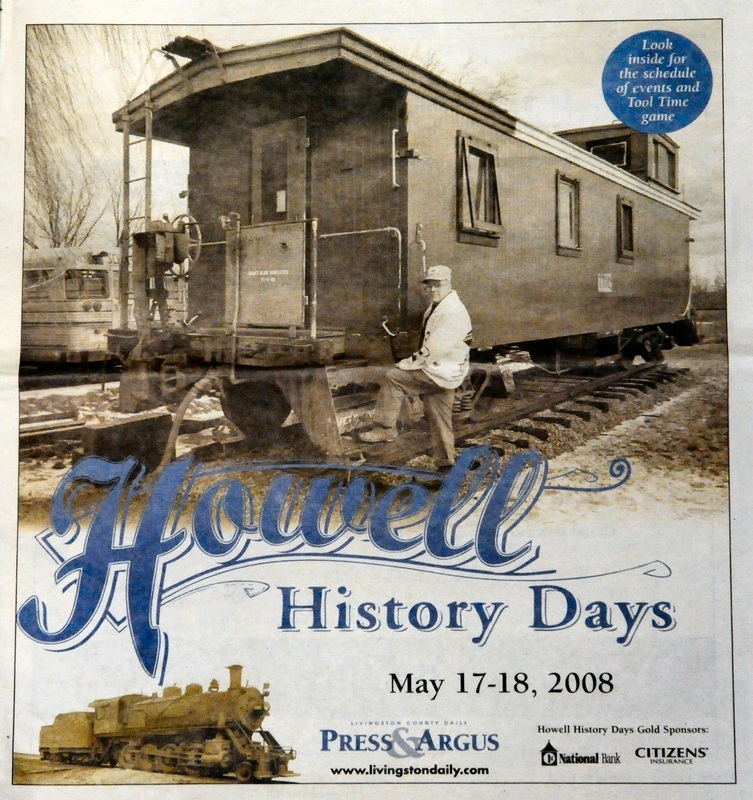 In 1988, the depot was recognized as a significant structure by the then City of Howell Historical Commission. Added to the Society's collection in 2011, this circa 1888 Grand Trunk wooden caboose has made its way back to Howell through the generous donation of the D. L. Kessler Construction Company of Dewitt, Michigan. Many will remember in years past, seeing this caboose near the hospital.